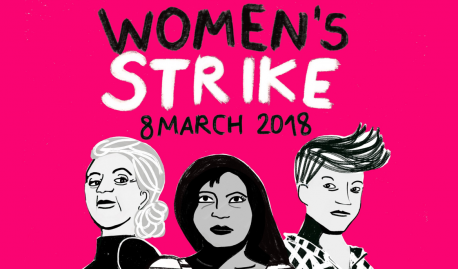 Free things to do this week ft. Int Women's Day, Heritage, Gorillabot & more. Get yourselves down to the Bosta room at Cherry Reds for the return of their bi-monthly jazz event. Guitarist and composer Dan will be leading his trio through original compositions with an occasional dip into the repertoire of the greats, such as Charlie Mingus. Whilst you’re there try some of the delicious food available, vegetarians do especially well at Cherry Reds. International Women’s Day: Women’s Journeys at Birmingham Museum & Art Gallery. A community showcase exploring the work of local charities and organisations who support migrating communities will include performances on the hour by artists who work with or are themselves refugees (12pm – 4pm). This will be followed by an evening ‘Tell me a story’session with women of diverse backgrounds in Birmingham encouraged to share stories to celebrate them and their journeys. The Warwick based comedian has just earned his way into the Chortle Student Comedy Awards semi-finals that will be taking place in London in May and yes that is his real name, we like it. The Fat Penguin improv team Bunkum Factory will also be up to their usual shenanigans creating a show on the spot. Breathless, energetic and most importantly, very funny. One of the city’s best rock venues expands its repertoire to lols with comedy showcase number three, featuring a staggering seven local comics, including Andy White and Ben Briggs, trying out new material and all being kept under control by the eloquent compering skills of the hilarious Hannah Silvester. The oldest band in the known universe, being formed ten thousand years ago when some random static zappery forged an unsettling triumvirate of robot, monkey and wrestler. That bizarre musical alliance continues several millennia later with Ben Bot, El Bajo and J’Rilla making the kind of otherworldly funk disco punk noise that could only come from such disparate influences. We guarantee you haven’t seen a live band like this, your jaws will undoubtedly drop as your brain tries to make sense of the demented spectacle. Check out GorillaBot’s latest video here.Beep.